As March roars its way towards spring and the promise of warmer, sunny days, it’s important to take a moment to ensure your family knows what to do when the weather unexpectedly turns dangerous and unpredictable. Those who experienced the recent tornadoes in Alabama had less than ten minutes’ warning to take shelter when the tornadoes struck. 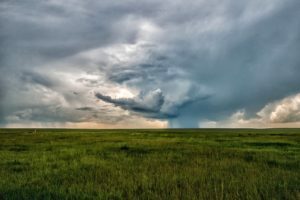 Here in the Midwest, March is always a month of unpredictable weather, from gentle showers to snow to strong storms and high winds that can cause storm damage. We truly need to be prepared for anything. September is National Preparedness Month. 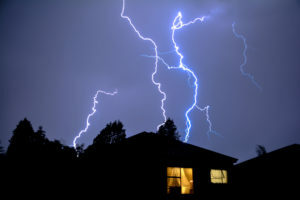 That means it’s a great time to take a moment and be sure that the whole family knows what to do if storm or other unexpected event causes storm damage to your home. While those of us in the Midwest may not have to worry about hurricanes and wildfires, we do have to take steps to be ready in the event of flooding, tornadoes and other strong storms that might cause storm damage that will require the services of a disaster restoration company. Here’s a list of things you can do now to ensure your family is protected and prepared if a natural disaster occurs. Spring in the midwest means a lot of things–daffodils, robins and gentle spring showers. But those spring showers aren’t always so gentle. Spring is also a time for storm preparedness. Taking the time now to make a plan for weathering those storms can save you a lot of headaches down the road. Here’s a list of things you can do to reduce both physical storm damage and the emotional distress that a major storm can bring.